I’m writing this on Sunday, currently freaking out about my half made ballgown for The Dressmaker’s Ball. I have the pattern ready finally but as I came to cut out my fabric I realised I don’t have enough underlining fabric! How silly of me. So I had to get more yesterday and sew before next week (as I’m away from then until the ball). GULP. I’m going to make it work and Tim Gunn would be proud of me, I’m sure. My brain is utterly frazzled by work at the minute as we have been running so many special issues and there are garments flying around everywhere and I don’t have a free weekend until late April. The glamorous world of publishing. 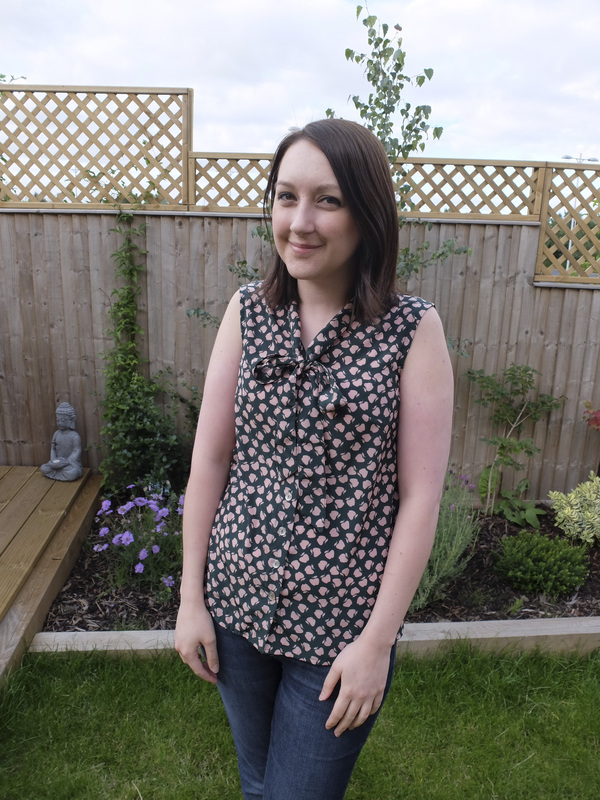 I really want to sit quietly and write a blog post so have forced myself to do it! 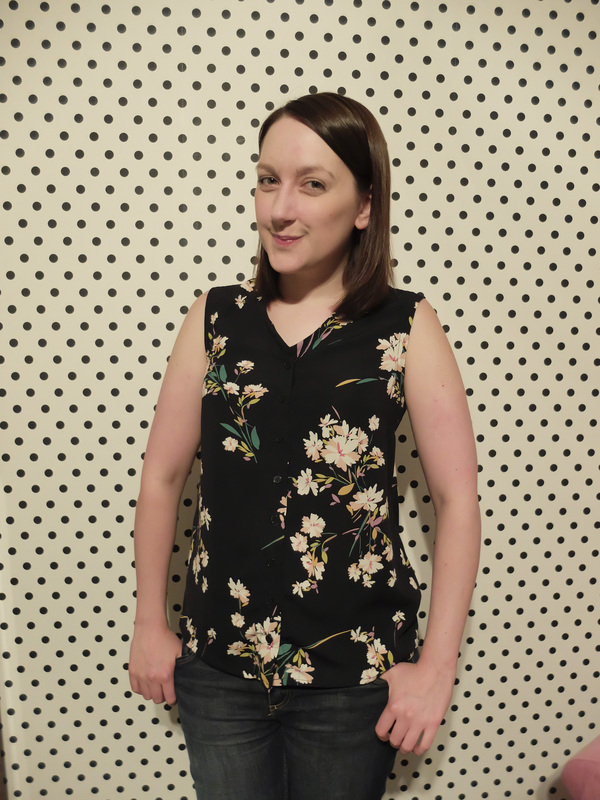 This is thePoppy top from Simple Sew patterns. 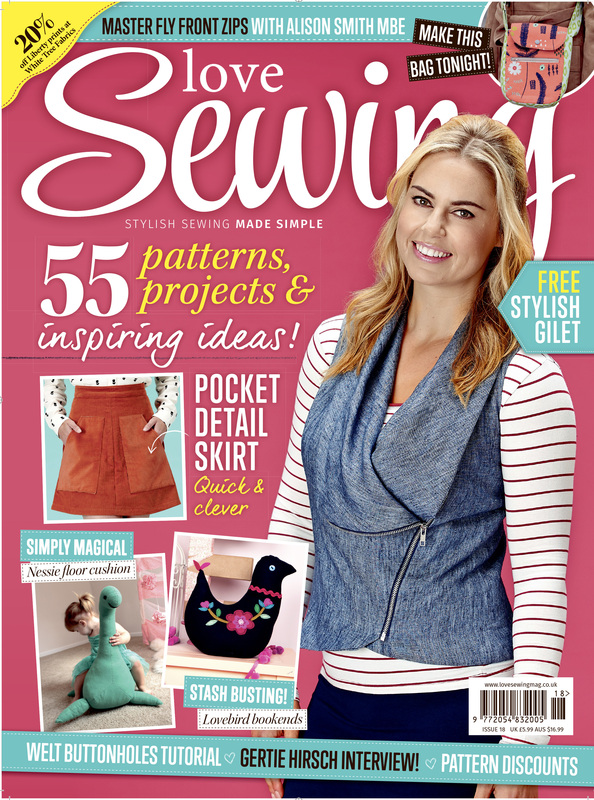 I got the printed version free from the cupboard at work but it was also a digital download from issue 48 of Love Sewing. With gently fluted sleeves and neckline pleats instead of darts it’s a pretty nice top that could be made for everyday wear or a special night out. I made the size 8 and let out the hips out to a 10 but it isn’t close fitting so didn’t need too much extra room. I should have made the 10 at the upper body I think as its a tiny bit tight. 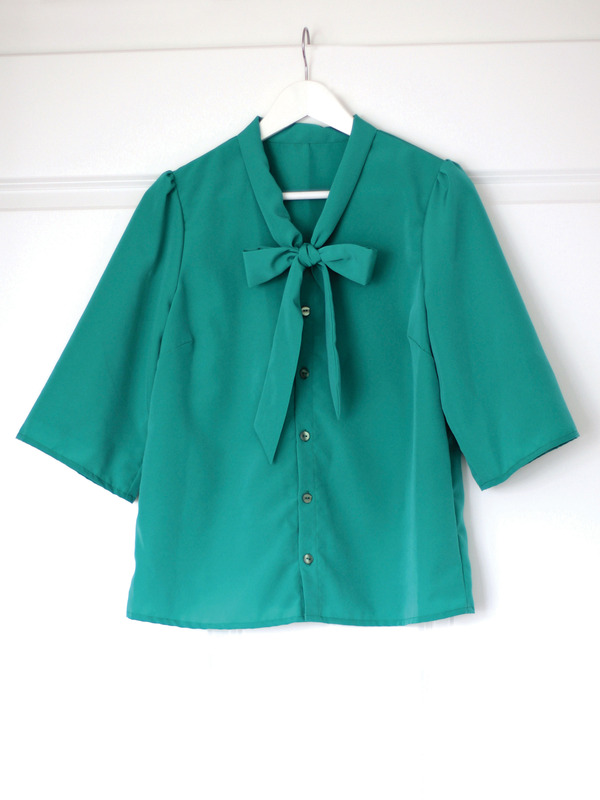 It’s a super quick make though and the pleats are fun to make. There’s a decent size facing underneath which supports the neckline pleats well. And a cute keyhole back letting you pick a pretty button from your huge stash to use… or is that just me? 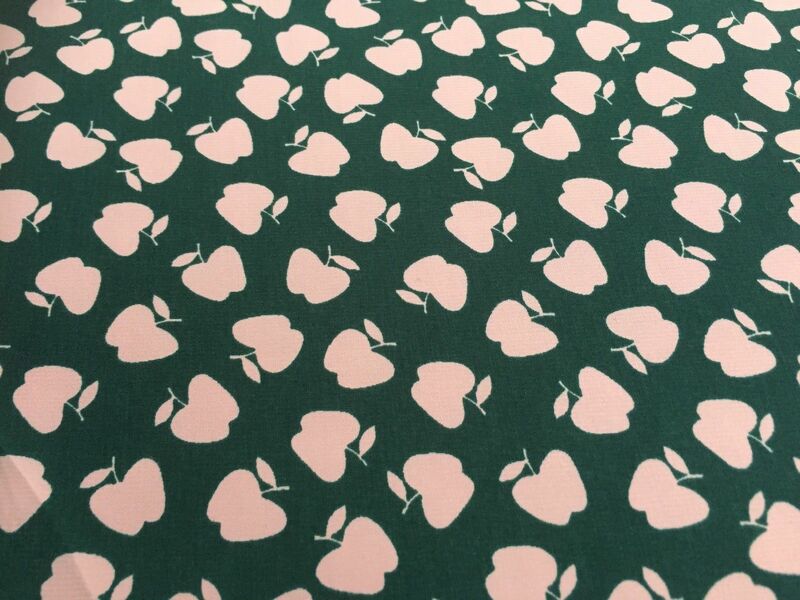 The fabric was from the 1st Sewing Weekender goodie bag! 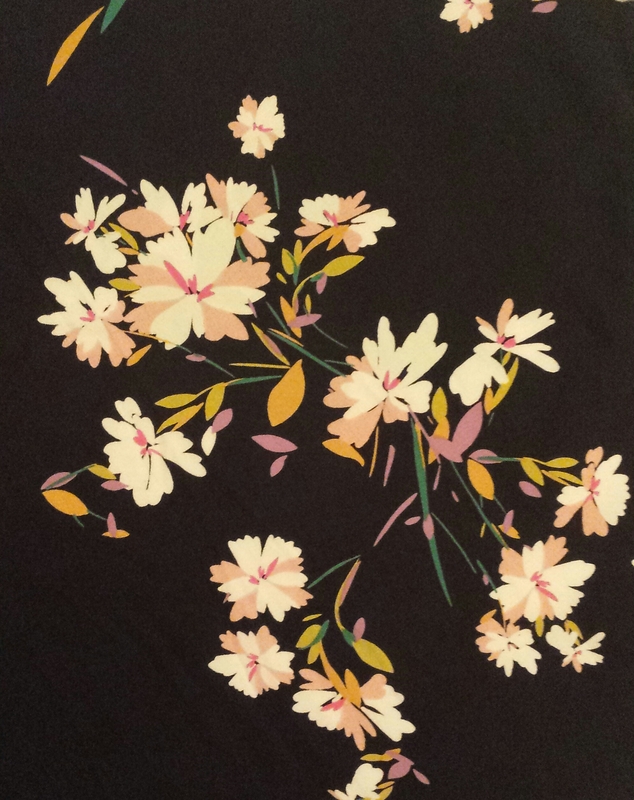 It’s aStoff & Stil viscose with little bird/boomerang shapes. Everyone got the same 1.5m piece so it’s been cool to see their makes over the years. I generally prefer brighter colours so I don’t wear this often unless it’s with a bright cardigan. Although it wasn’t my style I couldn’t seem to part with it. Glad I finally used it eh? I call the next photo “My fabric stash is THIIIIS big”. Now it’s time to count down the days until I see my girl Marie and hang out with loads of lovely ladies at the ball! !